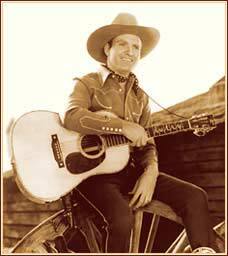 Wondering if your favorite Gene Autry song or movie is available to own on CD or DVD? You've come to the right page. Gene Autry Entertainment is continually releasing newly restored music, movies and more from the Cowboy's archives. Check back often for the latest! Gene Autry Entertainment has a limited amount of original Gene Autry items for sale in our Gene Autry Vintage Items section. If you are looking for original 78s, jeans, toys, comic books or any of the thousands of other Gene Autry collectibles, we cannot help you. Additionally, neither Gene Autry Entertainment nor the Autry Museum of the American West provides appraisals of Gene Autry collectables. We recommend that you visit your local antiques dealer, rare record shop or check out what’s for sale on the Internet. Please be advised that not everyone adheres to Gene Autry’s Cowboy Code, and some items may not be authentic. Though GeneAutry.com doesn't offer direct online shopping, all of the items listed here can be purchased by going to the Autry Museum of the American West's Store. Purchasing Gene Autry items from the Autry Museum Store supports the educational and cultural mission of the museum founded by Gene Autry in 1988. To contact the Autry Museum Store directly read more here.